The hubby and I took a day trip and rented the car to drive the island. We ended up at Phillipsburg which is the capital of the Dutch side. It's a small quaint area with tons of shopping. I mean tons... 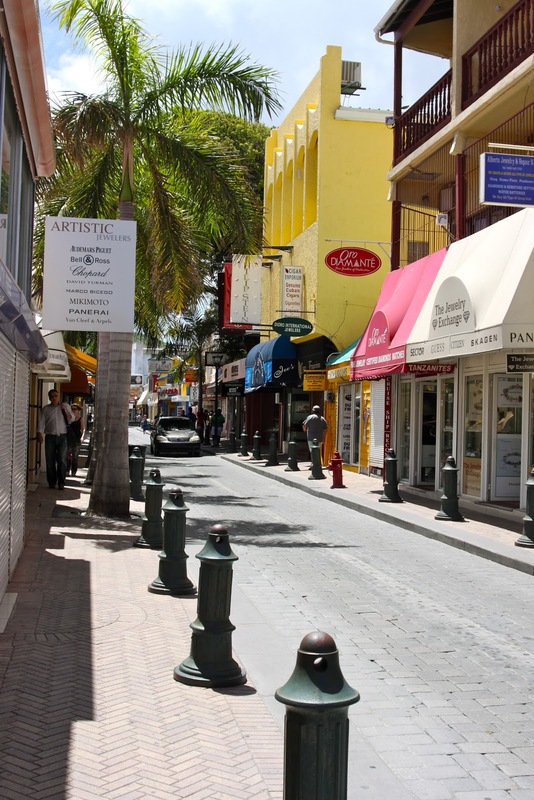 When people talk about the shopping in St. Maarten, it's because its tax-free and the abundance of name brand items, jewelry, liquor, cigarettes, electronic goods... you name it, they have it and they have a ton of stuff - All Tax Free. The colorful shops line the streets, store after store selling high quality or name brand items... a shopper's paradise. 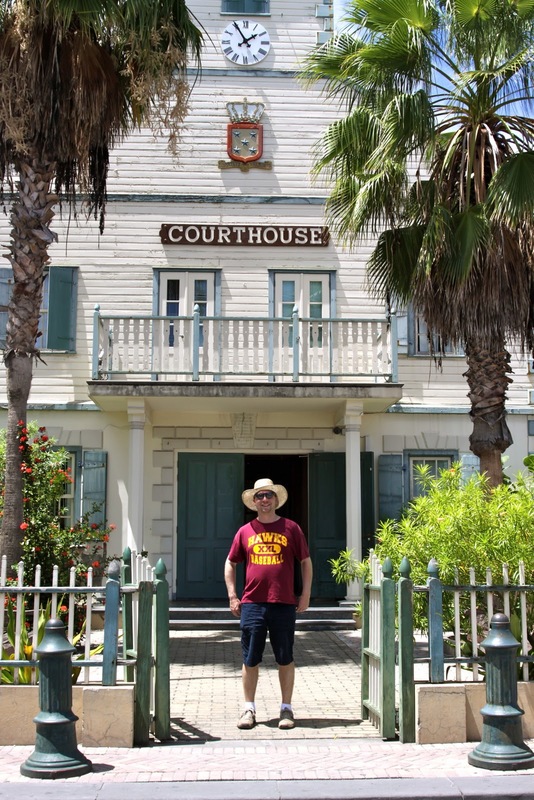 Here is the hubby in front of the St. Maarten (Dutch) Court house. Here is a view from the Boardwalk... it's simply just pristine. And of course I had to photograph the little LG store in St. Maarten... love seein my peeps all over the world. The area is perfect for dining, shopping and strolling. You have to be careful for the people who try to trick you into sitting through timeshare stuff, but everybody has to make a living right? That day the hubby and I had lunch at this little french cafe... the bread there was SIMPLY amazing. Crispy yet soft and fluffy on the inside. We wanted to go back but didn't have time... Maybe you can visit that same cafe? Enter to win your FREE HONEYMOON at the Westin St. Maarten and you could tell me whether or not you agree with how great this little shopping area is!